$17.99 each List: $38.50, You Save: $20.51! 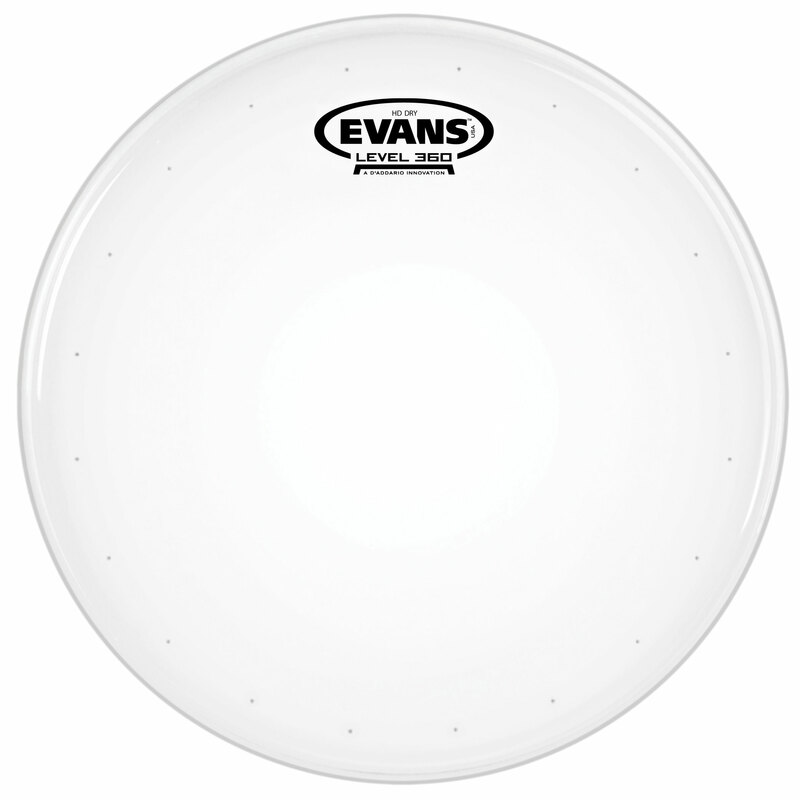 Evans Genera HD Dry Snare Drum Batter Heads are made to be assaulted, featuring two plies of film - a 5 mil outer ply and a 7.5 mil inner ply. This head gives you plenty of sharp attack with high durability, and it's naturally pretty dry. A 2 mil overtone control ring 'floats' on the underside of the head, dampening annoying overtones and further drying up the sound. To even further dry things up and reduce overtones, this head also contains precision-drilled dry vents around the perimeter!